Iron Maiden’s plane, Ed Force One, is set to rejoin the band’s Book Of Souls world tour on Tuesday after repairs have been made following a recent accident at a Santiago, Chile airport. The March 12 incident saw the port side engines damaged while the Beoing 747 was being towed for refuelling. Iron Maiden report the fully repaired Ed Force One will take off Tuesday from Santiago to rejoin the tour at Brasília Presidente Juscelino Kubitschek International Airport in Brasilia, Brazil. The accident required the replacement both port side jet engines, which alone weigh 5000kg each and cost around four million dollars each. Replacement gear and technicians were flown in from Europe and Iceland to get the repairs completed. “The speed and thoroughness of this incredibly complex operation was stunning and we are so very pleased to get our plane back!,” says vocalist and Ed Force One pilot Bruce Dickinson. 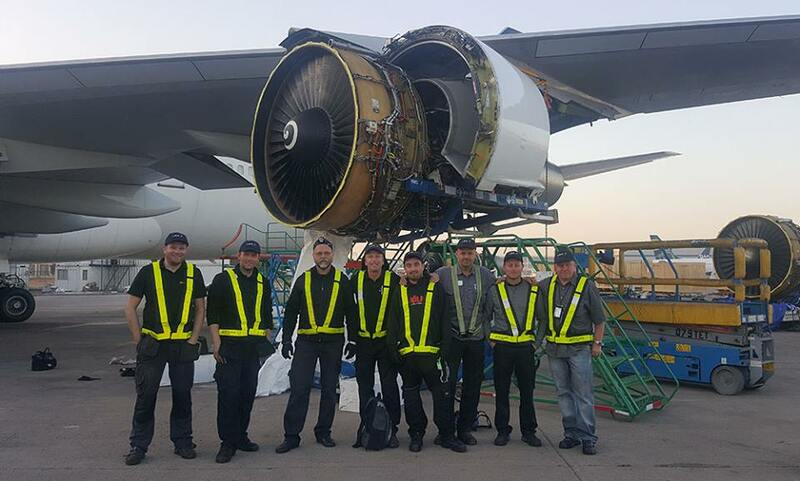 “We would like to thank Air Atlanta and their terrific rescue team for a fantastic effort in achieving this in the time they did, and to Boeing, LAN Chile, ACS and Rock It Cargo for all their invaluable support. We are sorry though for our fans in Cordoba, Buenos Aires, Rio and Belo Horizonte who missed out seeing the plane, but we hope they enjoyed the concerts as much as we did. “We should also thank our Killer Krew, who found themselves at lunchtime on the Saturday of the accident with over 20 tons of equipment at the airport in Santiago and over 60 people all to get to Cordoba for early the next day to set up the huge show we are carrying. The distance is “only” 1000km, but with a small matter of the Andes in between! They did it, by the skin of the teeth, and all went very well for the show in Cordoba and the other cities EF1 just missed. Iron Maiden will wrap up the South American leg of The Book Of Souls world tour this week before returning to North America for shows starting March 30 at New York’s Madison Square Garden.